Quality, innovation, high technology and respect for the environment. 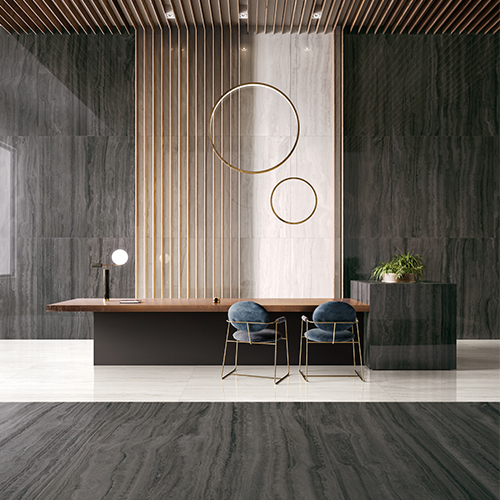 These are the values which have made Ceramica Sant’Agostino a leader in the ceramic sector, with its extremely transversal production range which responds to the most varied needs of contemporary lifestyles. The beautiful appearance and high performance of these products are the result of coherent and strategic choices of the company which focuses its goal on reaching a total quality of the entire production system: with the help of a continuously evolving technology. The high design products fully comply with the strictest environmental protection standards. Today this means being a cutting-edge company: having clear corporate responsibility to create a sustainable future. High fashion floor and wall tile collections in white body, glazed porcelain and through body porcelain. Sizes from 1"x1" mosaics up to 48"x48" and 35"1/2 x 71'' with trims and accessories. The company develops its products from the very beginning of the cycle of life, investing big energy in quality and aesthetic research. We put a lot of attention on ecological and sustainable aspects to always grant you the beauty, quality and design while respecting nature. We also create collections in collaboration with world wide famous designers. 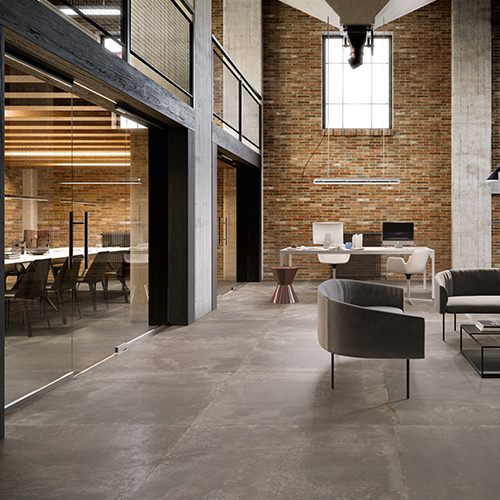 LAKEWOOD reproduces the unmistakable appeal of artisan flooring in solid wood in porcelain stoneware: the planks have rounded edges and a patina surface, typical of oiled wood impregnated with natural wax. The material that inspired the collection is re-elaborated in porcelain, elevating it to a level of perfection. It is not a copy, but idealised travertine, in which every feature is measured and rendered pure, transforming it into “absolute beauty”.